Matt, Lily and Benji spent the early years of their lives on a space station in the asteroid belt surrounding a distant star, but when the local situation got dangerous they were promptly whisked away, out of harm's reach. Now, they find themselves on planet Earth and the three siblings are the only family they have. So whilst they may have Al, a rather unimaginatively named green, space age A.I. Assistant, it has fallen on Matt's shoulders to keep them all together. Benji is headstrong, and Lily is still a little naïve, and neither can see the point in keeping their super powers entirely secret. Did I mention they had superpowers? Little do they know how much danger they could potentially be putting their tiny family unit in, were some unsuspecting human to spot them levitating the shopping away through the kitchen window. In this first volume we get to follow the three as they settle into their new home and get used to school life. They make a few new friends along the way, but also an enemy or two, for as with every school, there is always the school bully. Dawid's artwork glows with an autumnal warmth throughout, whether it's the chaotic buzz of a school day, or a pensive moment of our three siblings sat nestled on a rooftop, gazing longingly at the night sky. But no place has quite the same exuberant amount of warmth as Matt's new friend Jeanne's room does. It glows with shade of orange as a golden sunlight gently touches the clutter and keepsakes decorating her room. It is a space every bit as embracing as Jeanne herself, and I can't help but get the feeling that she is going to become a wonderfully positive ally to the tiny family unit. 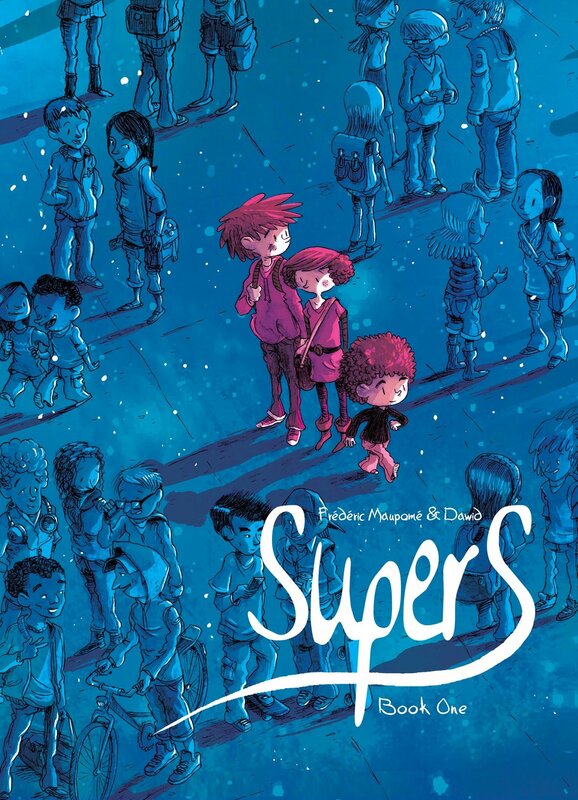 Maupomé has beautifully blended the super with the ordinary to create a relatable and heartfelt story of adolescence, self-discovery, and finding your place in life with a fun, exciting twist. For another excellent example about the travails but also potential delights of starting a new school, please see FRIENDS WITH BOYS by Faith Erin Hicks.